The A-5 was a long-sleek aircraft with all-moving horizontal and vertical tailplanes and relatively small wings. It was originally powered by two General Electric YJ79-GE-2 engines and had a huge fuel capacity for long range missions. The A-5B variant featured longer and wider flaps than the A-5A, and an even larger fuel supply. The RA-5C was capable of all-weather long-range carrier-based or land-based reconnaissance missions at supersonic high-altitudes or low-altitude penetrations. The A-5 Vigilante was a truly magnificent aircraft of its time. It was optimized for low-level attacks at high speeds and was one of the biggest aircraft that ever operated from a carrier. Out of the 63 bomber variants built, all but ten were converted to RA-5C reconn. variants in the end. 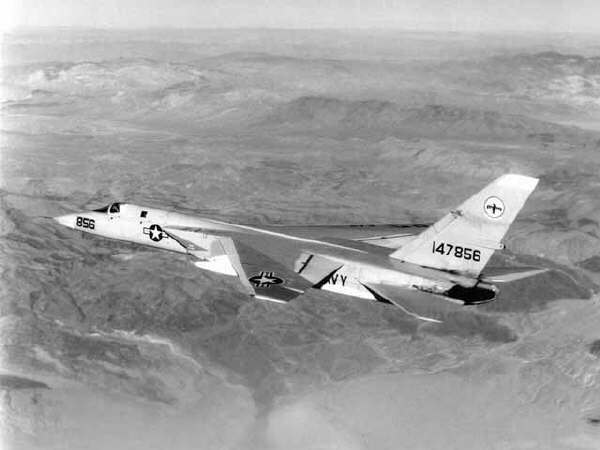 The first prototype, the YA3J-1 Vigilante, was first rolled out on May 16, 1958, with its first flight on August 31, 1958. It was powered by two General Electric YJ79-GE-2 engines. The first production A3J-1 Vigilante aircraft flew later in 1960. These aircraft were fitted with the more powerful J-79 engines, leading to the J-79-GE-8 engines which had 16,500 pounds (7,480 kilograms) thrust. The A3J-2 attack variant, later dubbed the A-5B, and the RA-5C reconn. variant were built later on. In all, 156 Vigilantes were built including the prototypes, one of which still survives on display at the Naval Aviation Museum (Pensacola, Florida).